The East Granby Public Library has a vast amount of resources and information available for business professionals, entrepreneurs and job seekers! Provides comprehensive information on business related tax issues and links to all the IRS forms and publications. The Bradley Regional Chamber of Commerce offers exciting networking opportunities throughout the year, both within our own chamber and with chambers from surrounding towns. The Chamber's strong voice impacts issues that affect our businesses in local and state politics. The Bradley Regional Chamber of Commerce: smarter today for a wiser tomorrow. Contains extensive information and tools to help you start, run and develop a business. Membership is FREE. Provides guidance for navigating through business licensing and registration requirements for the state of Connecticut. This non-profit organization helps Connecticut's small business owners obtain financing for expansion, real estate, and equipment purchases. Offers workshops, seminars, and counseling for Connecticut businesses and business-related organizations with Training, Technology Assistance, Conferencing Services, Procurement Services and Business Incubation. 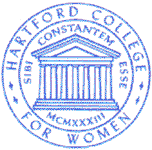 The Entrepreneurial Center at Hartford College for Women Located at the University of Hartford, this organization provides training and counseling for planned, new, and established business owners with a special focus on business women . This comprehensive site provides resources to manage, expand, increase and support all types of small business. This site provides resources that are available to level any disadvantage disabled individuals may have and to help you actualize your vision. Bplans.com contains the largest single online collection of free sample business plans. It also provides helpful tools and know-how for managing a business. Mplans.com contains a large collection of free sample marketing plans online. It also provides helpful articles and know-how for managing a business. Included is practical advice on planning and interactive tools. MoreBusiness.com is filled with sample business plans, marketing plans, templates, sample contracts and business agreements to help entrepreneurs start and grow a small business. This site helps small businesses understand their legal requirements, and locate government services supporting the nation’s small business community. Business.gov is an official site of the U.S. Government. FindLaw's Small Business Center provides information and resources for small business owners, and help for entrepreneurs .Provides information on choosing and forming the right legal structure for business, legal tips on day-to-day business operations, an overview of employment law issues, and more. Nolo.com offers legal tools, books, software, online document preparation, an online legal encyclopedia, blogs, and a lawyer directory for small business. A non-profit micro-enterprise development organization whose goal is to increase economic independence for women. This is accomplished through Small Business and Professional Development Training-specifically, small business and micro-enterprise training, career assistance, networking, and access to applicable resources. This site strives to help individuals create personal and professional success through the mastery of self employment and related business practices. Provides tools, resources, and articles, and a weekly e-mail newsletter.